CNBC’s The Profit, Prince settlement and great domain investor data were top stories last month. The top story on DNW last month was a domain name lesson on The Profit. Here are the top five stories on Domain Name Wire in January, as well as the DNW Podcasts for the month. The stories are ranked by views. 1. 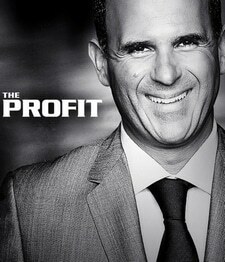 A domain name lesson on CNBC’s The Profit – Marcus Lemonis helped a toy shop upgrade from .net to .com as part of his investment. 2. Great domain investing data from Paul Nicks (GoDaddy) at NamesCon – Paul Nicks digs into domain investment approaches and returns. 3. Prince’s estate settles Prince.com fight with Domain Capital – It looks like Prince’s estate will get Prince.com in return for cash. 4. “Domain Name” is a pay-to-play search term on Google – There are no organic results (other than Wikipedia) above the fold. 5. How a Whois check could have halted a scam – a Wendi Deng Murdoch imposter tricked some photographers and a clue was in Whois. You can listen to the podcasts by visiting the pages or downloading them on your phone’s podcast app. Get the DNW Newsletter – sign up here.